Habibi Hostel Ramallah v Ramallah, Palestina: Zarezervujte nyní! Guests will love the cozy atmosphere and the view from our spacious garden. We also offer regular activities such as tours, hikes, movie nights, and pub crawls. We have a fully equipped kitchen, a laundry room and multiple lounge spaces. Our outdoor patio and garden is perfect for catching some rays, enjoying a traditional meal cooked at the hostel, or socializing with the other guests. Habibi Hostel is located minutes away from the city center, the hostel is a perfect base for your adventures in Palestine. The hostel is located in a beautiful, historic building that has been recently renovated and equipped with all the modern amenities. 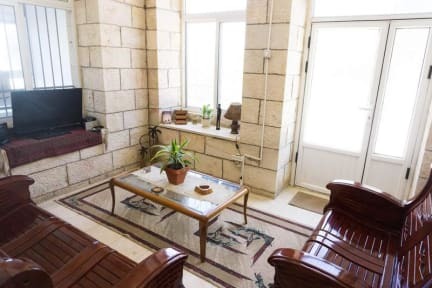 Habibi Hostel hosts regular tours throughout Palestine and takes guests to popular bars and restaurants within the city. Our staff provides 24 hour reception and cleans daily. The hostel is three minutes away from the city centre but is located in a quiet neighborhood with little traffic. Ramallah is 30 minutes away from Jerusalem, and an hour away from Bethlehem and the Dead Sea making it a perfect base traveling the West Bank. 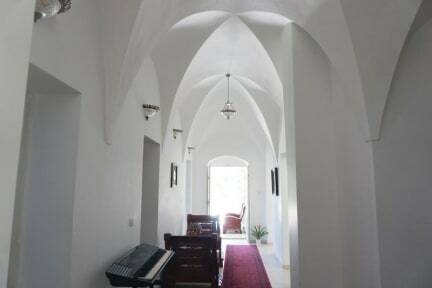 Habibi Hostel offers four spacious dorm rooms and one private room with a total of 32 beds. Feel free to cook your own meals in the fully equipped kitchen and enjoy either the dining room, lounge area or garden. The hostel also has two bathrooms, laundry, bedding, a flat screen TV, and projector. Check in from 7:00 - 23:00. Payment upon arrival by cash, credit cards, debit cards. This property may pre-atuhorise your credit card.